Jump on your skis and push ahead – soon you will be gliding on the snow like ancient Laplanders. Skiing is easy and can be done by anyone who can walk! 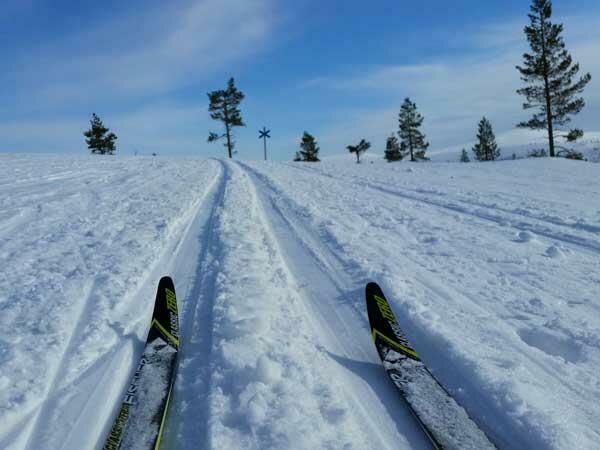 During the beginners’ course of our Saariselkä ski resort, your guide will teach you the basic techniques, after which you can head on the forest trail to witness the wintery beauty of Lapland. 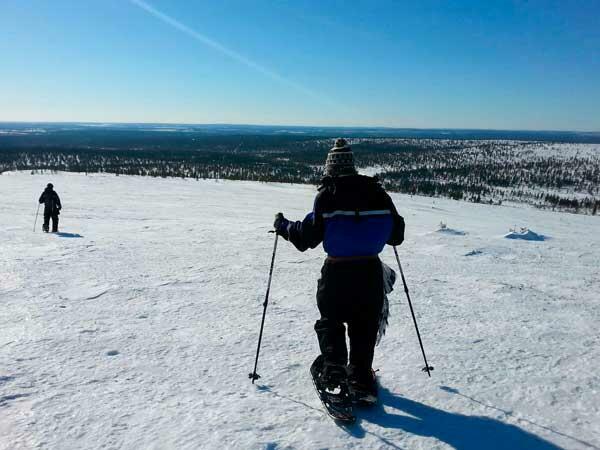 Snowshoeing is the closest way to experience the nature of Lapland. The deep snow crunching under the shoes, the snow-hooded trees, and the pearly-white willow grouse watching you from afar – the winter nature is a magical world of its own. 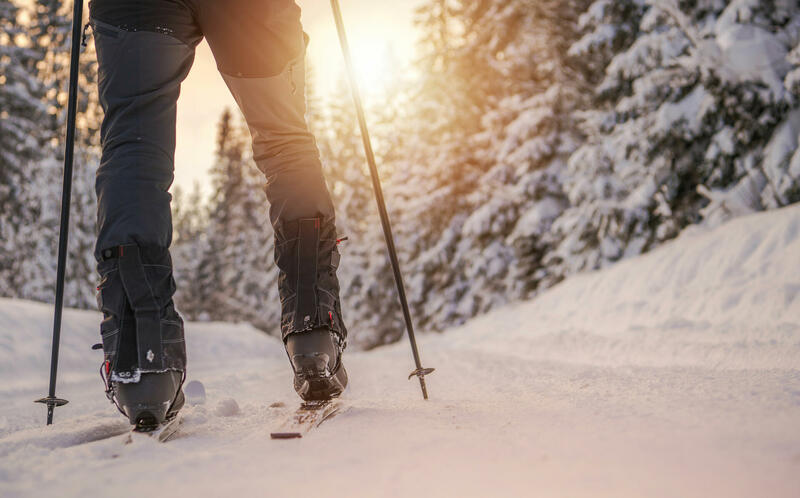 We hike through the forest in snowshoes to a nearby fell where we will build a fire, enjoy a delicious meal outdoors, and enjoy the spectacular scenery. The guide will provide information on the nature and animals of Lapland, and with any luck we may see a Siberian jay, a willow grouse, or a herd of reindeer wandering by. This trip is especially suitable for nature-lovers, who wish to take great photographs and enjoy the natural scenery in an ecological way. Who will be the Ultimate Champion of the Ice Track? 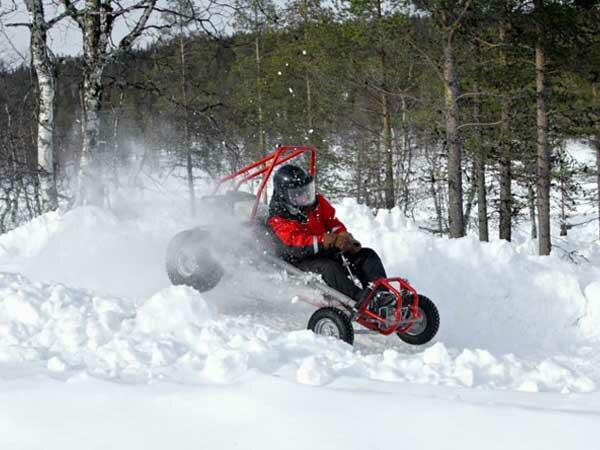 Drift and cruise through the outdoor snow and ice track by Northern Lights Village with an Ice Kart. Challenge your friends for a race. Who will be the champion? Driving on ice requires skill and fast reflexes, but it is easy to learn. And the snow makes drifting super fun. The Ice Karts have been modified for winter use. They have enough power to handle the snow and have studded tyres for extra grip. The program consists of practice and 10 minutes of driving time. Drivers need to be at least 150 cm tall and 15 years old. No previous experience required.